This guide offers brief descriptions of relevant Oregon Trail resources collections. Links are provided whenever online inventories exist. Special Collections and University Archives collects in the topical area Northwest History and Culture, including materials in all formats that describe or reflect Northwest history and culture. The Library also has some Oregon holdings in its Microforms collection. Many published works on this topic are in Rare Books or the Oregon Collection. Reminiscences. Arranged by Laura P. Barker, 1931. General John Adair was appointed Collector of Customs at Astoria, Oregon, by President Polk in 1848. The Adair family traveled to Oregon from Kentucky by sea, via Panama, in 1848-1849. The reminiscences include an account of this trip written by Mrs. Adair (Mary Ann Dickinson Adair). Journal, April 15 - October 15, 1852. Akin traveled overland from Iowa to Oregon in 1853; this journal is an account of his trip. A copy of the journal was published in the Oklahoma University Bulletin, n.s. no. 172, 1919; a copy is included in the collection. Letter from Allingham to William M. Allingham, Marysville, Oregon. Comments on the weather; names various persons who have returned from the west coast destitute; suggests return by land is easier and safer. Letter from Allingham to William W. Allingham, Marysville, Oregon. Names various families getting ready to emigrate to Oregon, and ponders the possibility for himself. Reminiscences of a trip from Portland, Oregon, to Dawson, Yukon Territory, in 1898. Garden Home, Oregon, 1938. Beeson was born in Illinois in 1836, and came overland to Oregon with his parents in 1853. They settled in Jackson County, where he became a farmer and was active in politics and the social life of the area. Includes diaries and account books. The 1853 diary contains a narrative of Beeson's overland journey. The Diary of George Belshaw (Oregon Trail--1853). Eugene, Oregon: Lane County Pioneer-Historical Society, 1960. From a typed copy. The diary was kept during Belshaw's trip from Indiana to Oregon in 1853.
Letters, April 26, 1852; June 27, 1852.
Letters from Bogan to "Uncle and Aunt\". They were written from Acapulco, Mexico, and San Francisco, California, and describe the difficulties of the voyage from Panama. George Bond's Journal of the Family's Immigration to Oregon in 1853. 1938. Bond was a Baptist minister who traveled overland with his family from Illinois to Oregon in 1853; he eventually settled in Oregon City, Oregon. This is a reprint of the portion of Bond's diary that narrates the overland journey. Includes several brief accounts of journeys across the plains to Oregon. Diary, July 16 - August 9, 1857; April 16 - October 1, 1860; October 3, 1861 - May 4, 1862. Includes an account of Brown's overland trip from St. Joseph, Michigan, to Oregon in 1860, and subsequent events in northeastern Oregon. Diary, April 12, 1849 - May 7, 1898. 3 vol. (Vol. 1 is a typed copy; Vol. 2 and 3 are originals) in 1 box. Burbank left Naples, Illinois, in April 1849 for Sacramento, California, where he started a mule-trading business. After selling out in 1851 he returned to Illinois. In 1853, Burbank and his family left Illinois for Oregon. They traveled by sea, via Panama and San Francisco. Vol. 1 of the diary (1849-1879) covers this trip; the original of vol. 1 is in the Huntington Library. They settled in Lafayette, and returned there in 1867 after living in Portland and Monticello, W. T. The entries for 1849 to 1851 are weekly; from 1851 to 1853 and 1856 to 1879 they are annual summaries. There are no entries for 1853 to 1856. From 1880 on the entries are daily or weekly. Burbank comments on his contemporaries, the growth and progress of Portland and Lafayette, and the building of railroads in the Willamette Valley. The Burton family arrived in Oregon in 1844. Collection includes a description of a voyage from Portland to San Francisco in 1881, and by rail to Utah; letters; documents; and miscellaneous materials relating to the family. The Narrative of John Corydon Bushnell. Eugene, Oregon: Lane County Pioneer-Historical Society, 1959. Bushnell was a member of a party of eleven that crossed the plains from Missouri to Springfield, Oregon, in 1853. The Diary of John Joseph Callison: Oregon Trail-1852. Eugene, Oregon: Lane County Pioneer-Historical Society, 1959. Diary kept by Callison during his overland journey, April 6 - June 25, 1852. Journal, March 30 - June 25, 1865. Cauthorn traveled overland from Mexico, Missouri, to Fort Bridger in 1865. Diary, May 5 - September 17, 1854. Condit traveled overland from Council Bluffs, Iowa, to the Willamette Valley in 1854. Diary includes list of expenses. Diary, May 5 - September 16, 1854. Condit traveled from Council Bluffs, Iowa, to the Willamette Valley in 1854. Diary includes list of expenses. Our Journey Across the Plains From Missouri to Oregon, in 1863. The Dalles, Oregon, 1901. Arvazena Cooper and her husband, Daniel Jackson Cooper, and children left Missouri for Oregon in 1863 due to conditions there during the Civil War. Diary, May 4 - October 5, 1852. Cornell traveled overland from St. Joseph, Missouri, to The Dalles, Oregon, in 1852. Narrative of Joseph Cornwall Crossing the Plains to Oregon in 1846. Written ca.1900. 1 folder. Original and typed copy. Cornwall was a Presbyterian minister in Oregon and Washington. Also included is the narrative Captain Dunbar's Company, 1846, The Applegate Route From Fort Hall, by Narcissa Cornwall Moore, Joseph Cornwall's daughter. Cranfill was a minister in the Regular Predestinarian Baptist Church. He was born in North Carolina, moved to Tennessee and Illinois, and in 1847 came overland to Oregon. He lived in many different Oregon towns, and worked as a cabinetmaker, farmer, itinerant preacher, justice of the peace, and storekeeper. Collection includes diaries, correspondence, and other miscellaneous papers. His 1847 diary is an account of his overland trip to Oregon. Crawford came to Oregon in 1842 from Havana, NY. He was a provisional government legislator, 1847-1849, a state legislator, 1860, and farmed near Dayton. In 1861, 1862, and 1863 he was in command of emigrant trains which traveled overland to the Pacific Northwest, the last two years as an Army captain. From 1864-1869 he was an Oregon collector of internal revenue, and from 1871-1875 appraiser of customs. The collection contains diaries, including an 1842 diary with Crawford's account of his journey to Oregon; account books; correspondence; and miscellaneous papers. Reminiscences of her childhood in Iowa and of a trip to Oregon by train (1880s?). Includes memories of the early 1900s in Eugene and Springfield, and school teaching experiences in Lane County. Reminiscences of Marianne Hunsaker D'Arcy, 1846-1870. Edited by Daisy Sanford (her daughter). 2 folders. Original and typed copies. Includes recollection of an overland journey from Illinois to Oregon in 1846. Diary, June 9 - September 8, 1847. Darst traveled overland from Fort Laramie to Oregon City, Oregon in 1847. Also includes expense account for a trip to California in 1866. Davenport was born in Chatham, NY, and attended Willoughby Medical College (later Sterling Medical College) in Columbus, OH. He taught school in Ohio and Illinois, and for a short time practiced allopathic medicine. The Davenport family left Ohio for Oregon in 1850, but turned back, wintered in Newark, Missouri, and continued the journey to Oregon in 1851. Davenport was a farmer and surveyor, state representative, state senator, and special Indian agent at the Umatilla Agency in the 1860s. The papers contain correspondence, manuscripts, scrapbooks, and miscellaneous papers. A manuscript of Davenport's reminiscences, written in 1971 and 1883, describe his early life, schooling, and journey to Oregon. Letters of Orvil and Alice Dodge to David P. Walrad, 1862-1863. Orvil Dodge came to Oregon from California in 1861. At the time of these letters he was in The Dalles in the 1st Oregon Cavalry. Walrad was his father-in-law. Letters describe The Dalles and comment on life in the militia. Douglas traveled by sea from Fort Vancouver to California in 1840. The original journal is in the Provincial archives, Victoria, B. C.
14 boxes, 1 folio, 2 volumes. Collection includes 1852 journal kept by pioneer and suffragist Abigail Scott (Duniway) during her family's trip to Oregon. Original of 1852 journal and photocopy of 1853 revision. Collection also includes photocopies of John Tucker Scott letters from the Oregon Trail, 1852. Dyson was born in England and came to the US about 1845. In 1861 he went to California, via Panama, and worked in California and Nevada as a tinsmith and a gold miner. He returned to the Midwest but came west again in 1874, to Brownsville, Oregon, where he established the town's first newspaper, the Brownsville Advertiser, in 1878, mined in central Idaho in the 1880s, and moved to Eugene, Oregon, in 1899, where he resumed his trade as a tinsmith. Papers include diaries, correspondence, business records, and manuscript periodicals. Eakin traveled overland from Illinois to Eugene, Oregon, in 1866. Ellmaker traveled overland from Iowa to Oregon in 1853. Includes a narrative of the trip, a sketch of the Ellmaker family, and letters from Reuben Ellmaker to Enos Ellmaker. Account of a trip from Washoe, Nevada, to Douglas County, Oregon, in 1863. Mrs. Evans's husband was killed by Indians in 1861. She and her two children traveled from Nevada to their farm near Roseburg, Oregon, in 1863. 5 boxes; about 1,500 letters. Reminiscences of Thomas Frazer, to 1853, Including the History of the Frazer Family in America. 1 folder. Original and typed copies. Describes Frazer's childhood in Massachusetts, early life at sea, a trading voyage to California and Oregon (via Panama), 1850-1851, and experiences as a trader in the southern Oregon mines, 1852-1853. Diary, May 15, 1850 - September 25, 1850. Frush traveled overland from Knox County, Missouri, to Portland, Oregon, in 1850. The original diary is in the Coe Collection, Yale University Library. Diary, March 13, 1850 - September 9, 1851; March 7 - October 13, 1853. Includes accounts of Gaylord's overland trip from Illinois to California in 1850, voyage to Oregon from San Francisco, return to Illinois via Panama and New York in 1851, and an overland return to Oregon in 1853. Letter from Geary to John McLellan, Fredericksburg, OH. Describes a voyage to the Pacific Coast via Panama, and first impressions of Oregon. The text was copied from the Wooster Democrat, Wooster, Ohio, June 19, 1851. Includes story of his overland journey from Iowa to Oregon in 1852, and his experiences in gold mining and Indian fighting in southern Oregon, 1853-1855. Journal, April 29 - September 29, 1853. Goltra traveled overland from Missouri to Oregon in 1853. Describes an 1883 overland journey from Topeka, Kansas, to Oregon City, Oregon. She attended Philomath College and later taught school in Portland. Letters and misc. papers, 1859-1930. Joseph Gragg came overland to Oregon from Illinois in 1852 and settled on a farm near Monroe. Collection provides commentary on family relationships, farm life, church affairs, schools and teaching, and social life in general. Includes information on the history of Philomath College. Diary, January 30, 1851 - February 24, 1853. Includes an account of a voyage from Philadelphia to Portland, Oregon, in 1851. Journal, April 14 - August 23, 1851. Hadley traveled overland from Galesburg, Illinois, to Oregon City, Oregon, in 1851. Includes a diary and expense account of a voyage to California in 1850, and to Oregon in 1851, an expense account for a trip from Oregon to Ohio and return in 1853, and a diary for October 7, 1858 - April 11, 1859, and February 1, 1883 - July 30, 1892. Also includes a table of weather data for February 1, 1883 - July 31, 1892, and a journal of the "Mountain Rangers,\" Oregon Militia, 1st Regiment, 1st brigade, Company A, 1863-1866. Experiences of W. A. Hockett on the Oregon Trail, 1847. Eugene, Oregon, 1914. The Hockett family was in the Lewelling party, and crossed the plains to Portland, Oregon, from Salem, Iowa. Hockett was nine at the time of the trip; his parents died on the trail. Hoffman traveled overland from Covington, Indiana, to Jacksonville, Oregon, in 1853. Includes autobiographical notes. Letters, October 29, 1865 - September 12, 1875.
Letters from Julia A. Holt and her sister Adella Holt to their aunt and uncle in Georgia, giving an account of the Holt family's journey from Lexington, Georgia, via Panama, to Oregon in 1866, and describing their life in Oregon. Johnson was a Methodist preacher. This journal was kept during a voyage to Oregon during the 1860s. Diary, April 1 - August 27, 1851. Johnson traveled overland from Iowa to Oregon in 1851. Caroline Thurman, biographical sketch of an Amity, Oregon, pioneer, n. d.
Diary, March 15, 1850 - June 29, 1851. Diary of a trip from San Francisco to Vancouver and back to California, 1850-1851. James John, Pioneer and Friend of Education. Portland Oregon, 1936. Written for course, History of the West, Portland Extension Division, University of Oregon. Based on the diary of James John in Oregon Historical Society. Lee was born in Seneca County, New York, and traveled overland with her family to Oregon in 1847. Lloyd was born in Adair County, Missouri, in 1866, and traveled overland with his family to Idaho and Oregon in 1876. He became a farmer, stock-raiser, and the first mayor of Halfway, Oregon. The reminiscences tell of his trip to Idaho in 1876, and of his life in Pine Valley, Oregon. Scrapbooks of biographies and reminiscences published by Fred Lockley in the Oregon Journal column "Impressions of a Journal Man," Portland, OR, various dates. Diary of Basil Nelson Longsworth, March 15, 1853 to January 22, 1854, Covering the Period of His Migration From Ohio to Oregon. Eugene, Oregon: Reproduced by the Lane County Pioneer-Historical Society, 1959. Account of Longsworth's overland journey from Washington Township, Guernsey County, Ohio, to Oregon in the summer of 1853. The Life Story of Orrin Sage Loomis. As related to his daughter. Includes an account of a cattle drive from Iowa to California in 1854. Letter from Looney to John C. Bond, Waiilaptu, O. T., advising him on preparations for a trip across the plains. Diary, March 23, 1850 - April 26, 1853. Esther and Joseph Lyman Letters About 1853 Lost Wagon Train. Eugene, Oregon: Lane County Pioneer-Historical Society, . The letters discuss the lost wagon train of 1853. Journal, May 7 - October 13, 1853. McClure traveled overland from Kansas to the Willamette Valley in 1853. How We Came to Oregon. 1 folder. Typed copy; published version. A reminiscence, in verse, of an overland journey from Knox County, Indiana, to Eugene, Oregon, in 1853. A version of this reminiscence was published by the Lane County Pioneer-Historical Society in 1967. 1 box; 1.5 lin. ft.
McComas was born in Ohio. In 1862 (May 14 - September 19) he traveled overland from Iowa City, Iowa, to Auburn, Oregon. He was a newspaper editor and owner in eastern Oregon. He also promoted mines, patent medicine, and real estate. Collection includes a diary and scrapbooks. The diary is from 1862 to 1867, and includes an account of his trip to Oregon. Diary, January 1, 1866 - December 31, 1868. Mallery traveled to Oregon by boat via Panama in 1868. 3 vol. in 2 folders. Letter from Minto to William P. Lord, Salem, Oregon. Recalls experiences with the Applegate party in the Siskiyou mountains, 1847-1848. Diary, March 3 - September 16, 1852. Moore traveled overland from Missouri to Oregon in 1852. Myer traveled from Iowa to the Rogue River Valley in 1853. The original diary is in the Spencer Collection. Reminiscence, 1888, and copy book, n. d.
James Neall's reminiscences describe the period from 1845 through 1850 when he traveled to the west coast twice, first to settle in Oregon, then to set up a trading post in San Francisco. Hannah Lloyd Neall was a suffragist and was active in literary circles of San Francisco. Diary and account books, 1843, 1861-1864. Includes narrative of an overland journey from Westport, Missouri, to Oregon City, Oregon, May 13 - November 5, 1843. He settled on a donation land claim in Yamhill County, Oregon, and founded the town of McMinnville. Memorandum of Robert Newell's travels in the territory of Missouri, 1829-1842. Letter from Nicklin to Israel T. Nicklin, Salt Creek, Polk Co., Oregon. Describes an overland journey from Fort Laramie to Oregon, and conditions in Oregon. Journal and misc. papers, 1862-1870. The journal, which is illustrated with pencil drawings, covers Nighswander's trip from Ohio to California, via Panama, in 1862, and his move to Lane County, Oregon, in 1864. The papers include letters by Nighswander written from Idaho and British Columbia gold fields, 1862-1865. 1 folder, 60 typewritten leaves. My Trip Across the Plains, March 31, 1853-October 28, 1853. Parker crossed the plains from Illinois to Oregon in 1848, and spent her childhood in Yamhill, Oregon. The Recollections tell of her life in Illinois and Oregon. Diary of Mrs. Bynon J. Pengra, Maiden Name Charlotte Emily Stearns . 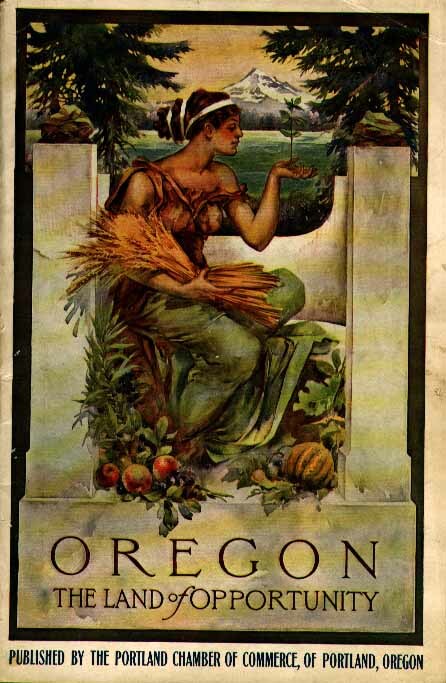 . . Eugene, Oregon: Lane County Pioneer-Historical Society, . The diary was kept on Mrs. Pengra's overland journey from Illinois to Oregon in 1853. Slow Settles the Dust in Oregon, 1991. A chronicle of four or five generations of several Oregon pioneer families. Journal of an overland trip from Arkansas to California, via Denver, Camp Floyd, Utah, and the Carson River, from April 19 to October 10, 1860. Personal, social, and business records relating to the J. A. Powell family and the J. B. V. Butler family of Linn and Polk counties in Oregon. Includes a manuscript overland guide, Fort Hall to John Day River, 1851. In 1920, Grace Purse, a physician in Washington, D.C., began researching her family's history due to her desire to join the Daughters of the American Revolution. The collection contains family correspondence, documents, ledges, and the diary of Molly Guile which describes her family's overland journey from Missouri to Montana in 1869. Kate (Pratt) Robbins was born in Cohasset, Massachusetts. She came west in 1859 with husband Abner Robbins, first to California, then to Oregon. Letters describe 1859 sea journey and life in Indian Creek, California, as well as living conditions in and near Ochoco and Prineville, Oregon. George Roberts and the Hoffman Family, Oregon Pioneers. Sacramento, California: G. and D. Roberts, 1990. Includes journal of an overland trip from Illinois to Oregon, June 5 - October 27, 1853; diaries, June 17, 1849 - February 24, 1853 and December 19, 1853 - July 4, 1855; and two letters from James H. Wilbur. Journal, May 6 - October 27, 1852. Mrs. Rudd traveled overland from Missouri to Oregon in 1852. Scott traveled overland from Fremont, Iowa, to Walla Walla, Washington, in 1862. Journal, March 11 - April 2, 1868. Shaver sailed on the Henry Chauncey from New York to Aspinwall, crossed the Isthmus of Panama, and sailed on the Sacramento to San Francisco. Letters describe Snowden's efforts to migrate from England to Oregon Territory, and relate to his first year in the Territory. History of the Sperry Family. 1920. Tells of Sperry's journey from Ohio to the Willamette Valley in 1851. Journal, May 18, 1885 - February 22, 1886. 1 vol., 1 typescript in 2 folders. Springer traveled overland from Princeton, Missouri, to Harney Valley, Oregon, in 1885. Some Recollections of Early Days. Oakland, Oregon, 1911. Describes the voyage of the Massasoit Company from Boston to San Francisco, via Panama, in 1849; life in the California mines; and affairs in Douglas County, Oregon, from 1859. Reminiscences written by Stratton for his son, including an account of his overland journey from Indiana to Oregon in 1854. "Crossing the Plains\" (scrapbook), 1854. Scrapbook contains narrative as printed in a newspaper. Taylor emigrated from Indiana to Oregon in the 1850s. This letter is to Samuel Cook (the brother of Taylor's wife, Elizabeth) in Rockford, Illinois, describing their overland journey to Oregon. Includes journal of an overland trip from Rockford, Illinois, to Oregon in 1853, by Rachel Taylor; a diary of D. H. Taylor on military service against Indians, January-May 1862; and a genealogy of the Taylor family and related families. Stories from Sage Brush Land. Portland, Oregon, 1921. Stories Teal wrote for his children, telling about his life. Includes a description of Teal's parents' journey from Illinois to Oregon City in 1853, and another move the Teal family made in 1862. The Organizational Journal of an Emigrant Train of 1845, Captained by Solomon Tetherow by Solomon Tetherow and An Account of the Wagon Train Mastered by Solomon Tetherow by Fidelia March Bowers. Eugene, Oregon: Lane County Pioneer-Historical Society, 1960. Reminiscences of Plains Crossing, 1852. Goldendale, Washington, 1907. The reminiscence is in the form of a letter, dated July 28, 1907, to Thurston P. Hackleman, Albany, Oregon. It tells of Thomas's journey from Illinois to Oregon in 1952. Early Days in Oregon; A History of My Boyhood Days, My Trip Across the Plains [in 1853], Service in the Indians Wars, Experiences in the Mines, and the Many Hardships Endured in a Long and Eventful Life. Roseburg, Oregon, 1922. Thomson crossed the plains from Arkansas to Oregon, via the Arkansas River and the current site of Denver. A Sketch of the Life of Abbott Levi James Todd. n. d.
A. L. Todd came overland to Oregon in 1852, settled in Douglas County, taught school, and was a preacher in the Christian Church. This reminiscence was written by Todd's son. Letter from Tyrrel to Elijah Tyrrel, Lewis County, Oregon. Says that many persons are planning to migrate to Oregon. Letter from Tyrrel to Elijah Tyrrel, Lewis County, Oregon. Gives news of relatives and friends; comments on the number of persons going to Oregon and California. 8 boxes; 4 lin. ft.
Young was a member of a Pleasant Hill, Oregon, pioneer family, and a resident of Eugene. The collection consists mainly of family letters. Also included are two overland journey diaries-of Agnes Stewart (Warner) and Helen Stewart (Love). The sisters were part of the "Warner " train which traveled from St. Louis to Oregon in 1853. The Agnes Stewart diary was published (as edited by Claire Warner Churchill) in the Oregon Historical Quarterly, March 1928, under the title "Journey to Oregon-A Pioneer Girl's Diary.\"
The Journal of Catherine Amanda Stansbury Washburn. Eugene, Oregon: Lane County Historical Society, 1967. Washburn and her husband were members of a wagon train that traveled from Iowa to Oregon in 1853. The life of Anna Elizabeth Mandler Wells of Elkton, Oregon. Autobiography. Red Oak, Louisiana, n. d.
Relates incidents of crossing the plains in the summer of 1853 with the Peter Butler train of Monmouth, Illinois. Biographical sketch of Margaret Mary Widmer, daughter of Oregon pioneer Conrad Widmer. Journal, April 1 - September 20, 1853. Williams traveled overland from Iowa to southern Oregon in 1853.
Letters to Joseph Patten Wilson, 1846-1875. Wilson was born in Maine in 1824 and moved with his family to New York and then Illinois. In 1843 he left home and signed on to a whaling voyage out of New Bedford for three years. In 1849 he sailed from New York to San Francisco and arrived in the gold fields in 1850. After a short stay he moved to Oregon and settled in Corvallis, where he became a carpenter. He was county clerk of Benton County for several years. Letters comment on politics, business, and religion. A letter from cousin Henry Clay Wilson describes prospects of Port Townsend, "Oregon Terr." region. Journal, April 9, 1849 - April 14, 1853. Journal covers Wood's overland trip from Wisconsin to California and return. A Journal of a Trip Across the Plains to Oregon in 1852. Account of an overland journey from Platteville, Wisconsin, to The Dalles, Oregon. Typewritten copy. Includes typed copy of 1864 overland journal, Iowa to Oregon, by Mrs. W. A. Loughary. Reminiscences of an Overland Journey From Iowa to Colorado in 1860, and Adventures in the Salmon River Mines of Idaho, 1862. 1936, 1937. Diary covers period March 28-June 6, 1850, from Peoria, IL, to South Pass.